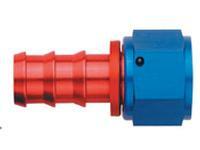 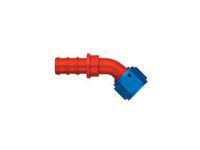 Designed and manufactured by Eaton to provide unsurpassed performance with Aeroquip SOCKETLESSTM hose. 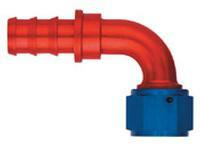 The design offers motorsport enthusiasts uncompromised quality and assurance that they are using the highest-performing components available. 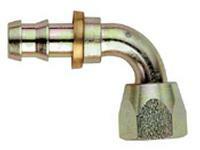 No tools or clamps required. 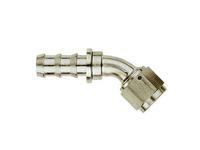 Aeroquip FCE1532 Socketless Nickel Plated Aluminum 90° Fitting for -06 Hose. 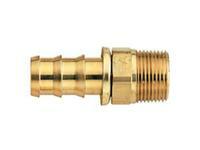 Aeroquip FCE1533 Socketless Nickel Plated Aluminum 90° Fitting for -08 Hose. 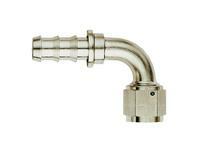 Aeroquip FCE1534 Socketless Nickel Plated Aluminum 90° Fitting for -10 Hose. 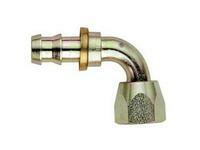 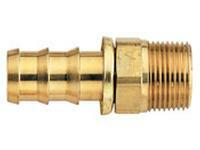 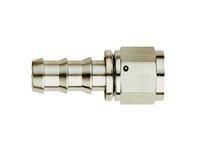 Aeroquip FCE1535 Socketless Nickel Plated Aluminum 90° Fitting for -12 Hose.